A: Always notify your insurance agent and the Support Services Department Monday – Friday between 9 a.m. and 6 p.m. ET at 1-866-321-8351. Because “DCFS USA LLC” is listed as the loss payee, insurance checks for repairs should be issued jointly to “DCFS USA LLC” and you. To speed up the release of your vehicle from the body shop, promptly send joint-payee checks, before you endorse them, to the address below. Insurance checks over certain amounts may require the physical inspection of repairs before Mercedes-Benz Financial can endorse the check. Please enclose the name and telephone number of the body shop and note your account number on the check. A: If you’re renewing, canceling or changing carriers, have your agent send a copy of your new policy or binder to Mercedes-Benz Financial immediately at the address below. Include a copy of your current policy as a reference. 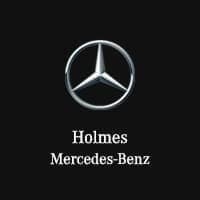 “DCFS USA LLC” must still be listed as the “loss payee.” Cancellation notices must be received by Mercedes-Benz Financial within 30 days of the effective date.